The 31st International Conference on Scientific and Statistical Database Management will be held in Santa Cruz, CA, USA on July 23-25, 2019. The SSDBM international conference brings together scientific domain experts, database researchers, practitioners, and developers for the presentation and exchange of current research results on concepts, tools, and techniques for scientific and statistical database applications. The 31st SSDBM will provide a forum for original research contributions and practical system design, implementation and evaluation, and, for the first time, reproducibility studies of previous publications. The program of the research track will be supplemented with invited talks and demonstrations. SSDBM 2019 will continue the tradition of past SSDBM meetings in providing a stimulating environment to encourage discussion, fellowship and exchange of ideas in all aspects of research related to scientific and statistical data management. To contact any of the chairs, please use ssdbm19@easychair.org. The submission website is https://easychair.org/conferences/?conf=ssdbm19. Submissions are accepted in PDF format using the new ACM proceedings LATEX or Word templates. Authors should use the sigconf proceedings template. Please see instructions at the ACM web site: http://www.acm.org/publications/article-templates/proceedings-template.html. If you are encountering any problems using the LATEX templates, please contact acmtexsupport@aptaracorp.com. For all other questions, please contact ssdbm19@easychair.org. IMPORTANT: ACM now requires conference organizers to collect and submit the source files for each paper – all files which were used to create the final output (PDF), be they Word, LaTeX, image files, etc. Submission of source files was always a requirement, albeit one that was hardly enforced in the past. In anticipation of serving both accessibility compliant PDF and responsive HTML5 formatted files from the ACM Digital Library, ACM is now enforcing this requirement. ACM now requires conference organizers to collect and submit the source files for each paper – all files which were used to create the final output (PDF), be they Word, LaTeX, image files, etc. Submission of source files was always a requirement, albeit one that was hardly enforced in the past. In anticipation of serving both accessibility compliant PDF and responsive HTML5 formatted files from the ACM Digital Library, ACM is now enforcing this requirement. Authors who are specified in EasyChair as contacts must have received an email from ACM Rightsreview (rightsreview@acm.org) with a link to the electronic ACM copyright-permission form. Please complete the form as soon as possible. IMPORTANT: the email is sent by an automated system to the primary contact only. Please make sure that the authors specified as contacts have received the email and that it has not wound up in a Spam folder. Upon completion of the ACM rights management form, the authors will receive an email with instructions on how to include rights and permissions information, and the bibliographic strip into the camera-ready version. Your must enter the text into their paper. Please follow the instructions carefully. Ensure that your camera-ready version complies with the ACM Master Template. Instructions are available at https://www.acm.org/publications/proceedings-template. You should use the “sigconf” proceedings template. If you have any problems with the templates, please contact ACM’s TeX support team at Aptara (acmtexsupport@aptaracorp.com). Use the online CCS indexing tool (http://dl.acm.org/ccs/ccs.cfm?) 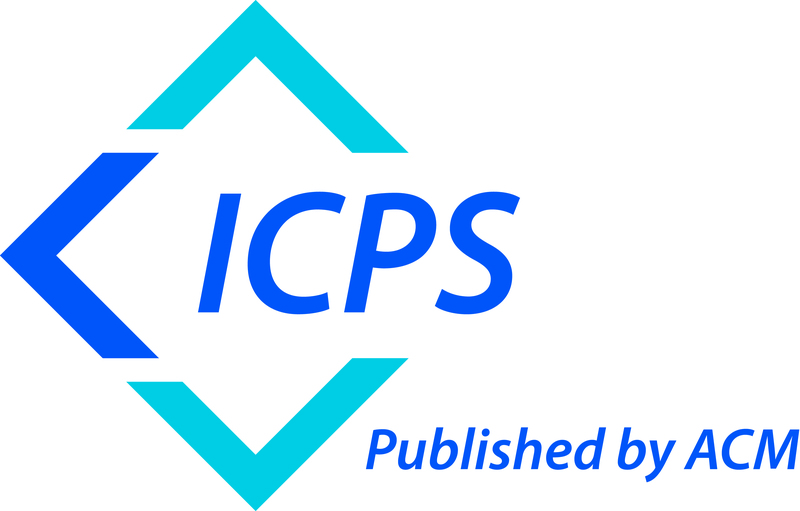 to select appropriate CCS concepts for your article. Then, generate the corresponding text/code and include it into your camera-ready version. Adhere to the page limits: 12 pages for full and reproducibility study papers, 4 pages for short and demo papers. Page size should be US-Letter 8.5in x 11in (around 21.59cm x 27.94cm). All fonts must be Type 1 (scalable), and not Type 3 (bit-mapped). All fonts must be embedded within the PDF file. See instructions here: http://www.ec.tuwien.ac.at/~dimitris/var/fonts.html. Submit the camera-ready PDF in EasyChair (https://easychair.org/conferences/?conf=ssdbm19). In addition to the camera-ready PDF, you must also submit an archive (zip or tgz) with the source files (LaTeX or Word). For any questions regarding your camera-ready version, please contact ssdbm19@easychair.org. The original Cowell Ranch Hay Barn was built in the early 1860s as part of the Cowell Lime Works operation. The Hay Barn was an integral part of the Cowell Ranch, housing feed and the animals that hauled logs, limestone, and finished lime. Today the Hay Barn and the many nearby historic structures from the lime works period are part of the Cowell Lime Works Historic District. The original Hay Barn was completely disassembled and renovated in 2015 to serve as a space for public use and headquarters of the Center for Agroecology & Sustainable Food Systems. The reconstructed Hay Barn incorporates some of the historic barn’s heavy timbers and siding, and features traditional mortise-and-tenon framing juxtaposed with modern materials and contemporary design, to achieve a rustic yet visually distinct building. The award-winning result is a beautiful and dramatic signature building with a soaring, spacious interior offering a unique setting for weddings, banquets, concerts, conferences, and much more. See https://cowellhaybarn.ucsc.edu/ for more information about the Hay Barn and its history. 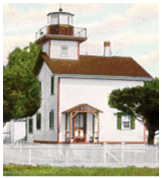 The Seymour Marine Discovery Center is a community-supported marine science education center of the University of California, Santa Cruz. It resides on the UC Santa Cruz Coastal Science Campus, a dynamic hub for research, education, and policy programs that address coastal and ocean conservation and management issues. Here, some of the world’s best coastal and marine scientists, government and non-government experts, and public education leaders create synergies that result in discovery and effective conservation solutions. The Center in the public face of this work. Through our breathtaking seaside learning center, we bring the adventures and explorations of ocean science to life. Powered by the Long Marine Laboratory, a world-renowned university research facility, the Seymour Marine Discovery Center offers hands-on immersion into the world of ocean exploration and discovery. With a 20,000-square-foot visitor center, guests can touch a shark, explore the latest discoveries in ocean science, and take in the spectacular Monterey Bay, called the “Serengeti of the Sea,” for its incredible diversity of marine life. The Center offers a deeper dive into the research conducted at Long Marine Lab and a chance for everyone to find their inner scientist through rich experiential learning programs including school field-trips, summer youth programs, Science Sundays, volunteer opportunities, internships, and more. SSDBM attendees will enjoy appetizers and drinks from 5:30 to 6:30 on the Shipwreck Deck overlooking the ocean. The exhibits will be open just for us and docents will be available at the seawater table. A buffet dinner will follow from 6:30-8:30 in the La Feliz Room. SSDBM 2019 discounted room blocks are available at several local hotels for conference attendees (interactive map coming soon). Attendees need to make reservations directly and will be responsible for their own room, tax and incidental charges. SSDBM 2019 discount rates are available from July 22 through July 25 (checkout July 26) or a portion thereof. If you wish to arrive before or after those dates, you must make arrangements directly with the hotel. Please make your reservations early. The special rate cut-off dates range from June 1 to June 22, which is an entire month before the SSDBM Conference. 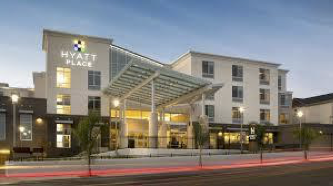 Summer is high season for tourists in Santa Cruz, and your chances of booking a hotel room anywhere after June 20th are very slim, and if you do, it will be much more expensive than the SSDBM 2019 rates. Individual hotels have different requirements for registration and slightly different registration codes and cut-off dates, so please read the following instructions for each hotel below. Please note: all rooms in all hotels are non-smoking. A discount rate of $189/night is available. Cut-off date is June 21, 2019. Reservations must be confirmed by or before June 21 to be eligible for the discount. Discount rates are only available for accommodations July 22 through July 26 for a single KING bed-type or a double QUEEN bed-type. If you experience any technical challenges or wish to book outside the block dates, please contact Collin Cowsill at Hotel Paradox at +1-831-600-4510. A two-night minimum stay is required. A discount rate of $219/night is available. Cut-off date is June 21, 2019. 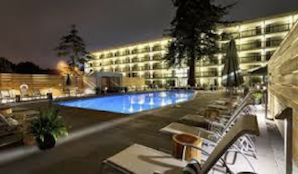 To reserve a room, go to: SSDBM Santa Cruz 2019 - Online Booking Link. To show two queen bedded rooms in the search, adjust the date range to July 22 to July 24. Parking is $7 plus tax per night. Complimentary Express Start Breakfast Bar featuring hot and cold breakfast items including our famous cinnamon rolls and pancake machine. Discount rates are: $199/night for a QUEEN, $209/night for a Double QUEEN (no KING rooms were offered). Cut-off date is June 21, 2019. To reserve rooms please contact the hotel directly at +1-831-420-0777. Once you reach a reservations agent, inform the agent that you are calling for the SSDBM-UCSC conference. It is also listed as SSDO for the group rate code. Either piece of information will allow the agent to make the reservation. 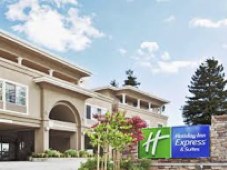 The Fairfield Inn cannot accommodate group reservations online, but if you are unable to make your reservation by phone, please contact Lavinia at lpreston@ucsc.edu and she will send a credit card form and tell you how to make a reservation via email. A discount rate of $189/night is available. Cut-off date is June 22, 2019. To reserve rooms by phone, please call +1-831-440-1000 and press the option for reservations. Be sure to mention the Group Code UCSSD. Enter the dates of your stay (between July 22 & 25 or the discounted rate will not show up). Click the “more options” link. Click the “Add special rate codes” link. Please note: the Hilton is about 6.5 miles north of Santa Cruz. 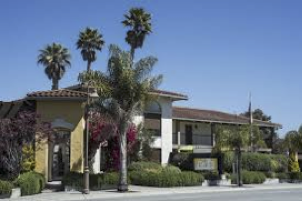 However, it is a wonderful hotel situated on Hwy 17, the main route from Santa Cruz to San Jose, and can be very convenient for those who might need to get to the airport quickly. It takes approximately 15 minutes to drive to or from UCSC, depending on the time of day. Discount rates are: $213/night for a single or double room. $233/night for a triple or quad room. Cut-off date is June 1, 2019. To reserve rooms by phone, please call +1-888-492-8847 and use the Group Code G-USOE. If they need more information, tell them you are with SSDBM. You will need to provide a credit card number at the time of booking. Discount rates are: $269/night for a QUEEN room, $296/night for a Double QUEEN room, $278/night for a KING room. Cut-off date is June 22, 2019. To reserve rooms, please call +1-831-425-5455 and use the Group Name SSDBM 2019. Free, extensive continental breakfast each morning from 7:00-10:00am. A campus with world-class facilities and one of the most visually spectacular settings in higher education, UC Santa Cruz offers rigorous academic programs and cutting-edge research opportunities that teach students how to think, not what to think. Commitments to environmental stewardship and community engagement are central to UCSC’s core values. From 652 students in 1965, the campus has grown to its current (2017-18) enrollment of more than 18,000 students. Undergraduates pursue bachelor’s degrees in 65 different majors supervised by divisional deans of arts, engineering, humanities, physical & biological sciences, and social sciences. Graduate students work toward graduate certificates, master’s degrees, or doctoral degrees in 41 academic programs under the supervision of the divisional and graduate deans. The 10 UC Santa Cruz undergraduate colleges — each a separate community with its own buildings and administration — are built around a core of shared university facilities. These include the main and science/engineering libraries, performing arts buildings, visual arts studios, classrooms, computer facilities, and a complex of highly specialized buildings for the physical and biological sciences, and for engineering. Athletic facilities are provided on the east and west sides of the campus. UC Santa Cruz is increasing both its enrollment and resources and diversifying its educational and research opportunities. New academic programs are considered and added when desirable and feasible. The campus’s physical growth is guided by its most recent Long-Range Development Plan which is being updated. In 2013-14 the campus initiated a strategic planning process to identify priorities and published its final report in March 2017. A number of state-of-the-art buildings have been completed on campus in recent years, including the Biomedical Sciences Building, the Humanities and Social Sciences Facility, the Digital Arts Research Center, and the McHenry Library expansion. A restored and updated Quarry Amphitheater reopened in fall 2017. UC Santa Cruz continues to move forward with its Silicon Valley Campus, a multi-disciplinary teaching and research hub that is home to a master’s degree program in games and playable media, engineering faculty, the new office of industry alliances and technology commercialization, UCSC Silicon Valley Extension, and UC Scout. Go to https://www.ucsc.edu/visit/index.html to find out more about visiting UC Santa Cruz. In addition to the Main Campus, there are several other UCSC places to visit in the Santa Cruz area. A few examples are: the Arboretum, Farm & Garden, and the Coastal Science Campus. Located on Empire Grade one-half mile west of the main entrance to the campus, the Arboretum has extensive collections of plants from the South Pacific and South Africa, other exotic flora, a rock garden, and a eucalyptus grove. Call 831-502-2998 for more information; 502-2999 for Norrie’s Gift & Garden Shop; or go to the Arboretum web site. The 30-acre organic Farm, where the Center for Agroecology & Sustainable Food Systems does much of its work, is located west of the main entrance road. Fruit trees, vegetables, flowers, herbs, berries, and other research crops are used to study nonchemical, organic methods of sustainable agriculture. Similar work is done at the three-acre Alan Chadwick Garden established in 1967 just below Merrill College. Produce from the Farm is marketed from late spring through early fall. Both facilities are open year-round. Open houses and public talks on techniques for growing plants and trees are also offered. For general information, call 831-459-4140; for group tours, call 831-459-3240. The approximately 100-acre UC Santa Cruz Coastal Science Campus — at the western end of Delaware Avenue in Santa Cruz — is at the edge of the Pacific Ocean, three miles from the main campus. Facilities include UCSC’s Long Marine Laboratory and its Seymour Marine Discovery Center and Center for Ocean Health; the National Marine Fisheries Service Santa Cruz Laboratory; and a California Department of Fish and Wildlife lab. The newly constructed Coastal Biology Building is home to UCSC’s department of Ecology and Evolutionary Biology and provides state of the art classroom and lab facilities for undergraduates, graduates, researchers and faculty focused on the study of biology, marine sciences, ecology and evolution, and plant sciences. The Seymour Marine Discovery Center is open to the public. Visitors may learn about marine life in Monterey Bay and the Pacific through aquaria and other exhibits, including the skeleton of an 87-foot blue whale. Tours offer glimpses of research projects involving bottle-nosed dolphins, California sea lions, sea otters, elephant seals, and harbor seals. For more information, call 831-459-3800 or visit the Seymour Center web site. The SSDBM Banquet will be held at the Seymour Marine Discovery Center on July 24th. At that time the Exhibit Hall will be open to SSDBM guests only from 5:30-6:30pm. Docents will be available at the Seawater Table to talk about the marine life and the uniqueness of the Monterey Bay. Google Maps provides the best directions to get from San Jose (SJC, closest), San Francisco (SFO), and Oakland (OAK) International Airports to Santa Cruz. We recommend to use the most direct flight to any of these three airports and then rent a car to get to Santa Cruz. The best routes and driving times can vary significantly depending on day of week and time of day. Use the desktop web browser version of Google Maps to get access to its “Depart at” and “Arrive by” functionality to plan your trip. Also, during your trip watch for new route recommendations to avoid significant traffic delays. NOTE ON SUMMER TRAFFIC: On the weekends, Santa Cruz is a major destination for travelers from the San Francisco Bay Area, and traffic on Highway 17 that travels through the Santa Cruz Mountains from San Jose to Santa Cruz can be extremely congested. If you are driving and arrive on a weekend, please be aware that until about 1:00 or 2:00pm each day, it could take over 2 hours to reach Santa Cruz from San Jose. Traffic is also heavy in Santa Cruz itself. Your hotel concierge should be able to suggests good ways to get around town without having to drive and park. If you are comfortable bicycling, look for bright red Jump bicycles that come with battery assist, especially helpful when heading the long uphill from downtown to campus. We strongly recommend bringing a bicycle helmet if you plan to use this mode of transportation. We strongly urge those of you who are driving to consider carpooling with other attendees. Traffic, even in summer, can be heavy on campus and it might be easier and simpler to carpool wherever possible. With that in mind we have set up a Google sheet where you can sign up to offer a ride or request a ride. If you are looking for riders, enter your information for each day in the green “Looking for Riders” sections on the list. If you are looking for a driver, then enter your information for each day in the blue “Looking for Drivers” sections on the list. Alternatively, using Uber or Lyft is another way to get to campus without having to drive yourself. The local public transportation system is also a fine way to get around and has regularly scheduled buses with multiple stops on UC Santa Cruz campus, including “Science Hill (UCSC)” which is where the conference takes place. It costs $2 cash (need to have exact amount) for one ride. You can also order and buy passes online (Fares, Map, Schedule). In addition to the Santa Cruz Metro buses, UCSC runs campus shuttle buses. The shuttles (aka “UCSC Loop Bus”) are free and useful for getting around within campus (Map and Schedule). The bus stop closest to the conference is “Science Hill (UCSC)”, the one closest to Physical Sciences and Jack Baskin Engineering buildings near the upper left of the map. Buses operate in both directions and both directions are about the same distance from the campus main entrance. Should you choose to drive to campus, Google Maps driving directions are available for “UCSC Core West Structure”. Also, starting at the campus main entrance there will be small black & white signs that say “SSDBM” to help guide you to Core West parking. Parking permits are required for parking (you will get a ticket if you do not display one). Parking permits can be picked up at the Core West parking structure each morning of the conference between 7:30 and 9:30am. Event parking attendants will meet you on the second or third floor of the garage; keep driving until you see them. Attendants will have a list of registered attendees, so be prepared to identify yourself as an SSDBM participant. They will give you a permit to display on your car dashboard and direct you to a parking space. IMPORTANT: The parking attendants leave the garage promptly at 9:30 am. If you need a parking permit, but arrive after 9:30am or you did not request one when you confirmed your attendance (and therefore are not on the parking attendant’s list of registered attendees), then instead of entering the Core West structure, drive to the Baskin Circle (see map below). Follow the road around to the curb area, park in the green loading zone and call or text Lavinia at +1-408-505-4729. DO NOT LEAVE YOUR CAR. If there is no space to park, just keep circling or pull over out the way somewhere. Lavinia will quickly send someone to you with a permit, after which you can retrace your steps and park in Core West. After you park, proceed to the North Stairwell and walk across the street to the Baskin Engineering Building. Walk through the Baskin Engineering Building and to the courtyard behind it. The check-in desk will be set up next to a big tent. 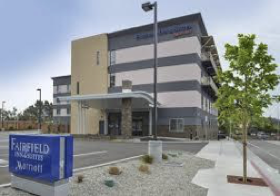 The SSDBM 2019 Conference will take place at the Baskin School of Engineering, University of California, Santa Cruz, 1156 High Street, Santa Cruz, CA. The conference will be held in Room 180, on the ground floor of the Engineering 2 building, which is located off the Courtyard Area between Engineering 2 and the Baskin Engineering Building (see map below). We will have a tent and check-in desk set up outside the room. By the 1820’s Mexico had assumed control of the area and within the next twenty years, Americans began to arrive in great numbers. California became a state in 1850 and Santa Cruz County was created as one of the twenty-seven original counties. Santa Cruz is a bustling small city of about 65,000 people located at the northern end of Monterey Bay. It is about 32 mi (51 km) south of San Jose and 75 mi (120 km) south of San Francisco. Pacific Avenue is the main downtown street, and it’s loaded with shops, restaurants and great movie theaters. See http://www.downtownsantacruz.com/about/ for details about some of the shops, restaurants and sights. The Santa Cruz Beach Boardwalk is a classic seaside amusement park located along a beautiful sandy beach. 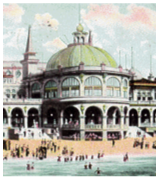 The Boardwalk features more than 40 rides and attractions including two National Historic Landmarks: the world- famous 1924 Giant Dipper wooden roller coaster and the beautiful 1911 Looff Carousel, plus many scream- inducing thrill rides, gentle kiddie rides, casual restaurants, gift shops, games, indoor arcades, and miniature golf. See https://beachboardwalk.com/FAQs for details about visiting this iconic amusement area. Natural Bridges State Beach is a 65-acre California state park in Santa Cruz, California in the United States. The park features a natural bridge across a section of the beach. It is also well known as a hotspot to see monarch butterfly migrations. Their website provides details on visiting. The Santa Cruz Wharf is known for fishing, boat tours, viewing sea lions, dining, nightlife and gift shops. The current wharf was built in 1914, the last of six built on the site, and is operated by the City of Santa Cruz Parks and Recreation Office. Details are available on their website. The Santa Cruz Surfing Museum is a museum which was established in May 1986 to document the history of surfing. With collections dating back to the earliest years of surfing on mainland United States, the museum houses a historical account of surfing in Santa Cruz. It is located on West Cliff Drive on the cliff above the well-known surfing spot, Steamer Lane. Steamer Lane is a famous surfing location in Santa Cruz just below the Santa Cruz Surfing Museum. There are paths and walkways on top of the cliff that provide great views of the waves and the surfers. West Cliff Drive is a scenic, 3-mile walking and biking path along the Pacific Ocean in Santa Cruz. Watch surfers, observe wildlife or just admire the incredible ocean views. Start your walk at the Santa Cruz Municipal Wharf and head past the iconic Santa Cruz Dream Inn to watch some of the best surfers in the world catch a wave at world-renown Steamer Lane. Stop in for a little surfing history at the Santa Cruz Surfing Museum or watch for whales and dolphins at Lighthouse Point. West Cliff Drive ends at Natural Bridges State Beach, winter home of the Monarch butterfly. Turn around and head back, for a hike that covers almost 6 miles round-trip. West Cliff Drive is wheelchair accessible and is popular with locals and tourists alike. The area around Santa Cruz is loaded with beaches, parks and things to do, including redwood forests such as Big Basin and Henry Cowell State Parks. In addition to the beaches in Santa Cruz itself there are numerous other city and state beaches both north and south of Santa Cruz, each one unique in its own way. These restaurants are further away (15-30 minutes), but are highly recommended. We are seeking the sponsorship of companies for the 31st International Conference on Scientific and Statistical Database Management (SSDBM 2019) to be held at the University of California, Santa Cruz, USA. The SSDBM international conference brings together scientific domain experts, database researchers, practitioners, and developers for the presentation and exchange of current research results on concepts, tools, and techniques for scientific and statistical database applications. The 31st SSDBM will provide a forum for original research contributions and practical system design, implementation and evaluation, and, for the first time, reproducibility studies of previous publications. The program of the research track will be supplemented with invited talks and demonstrations. SSDBM 2019 will continue the tradition of past SSDBM meetings in providing a stimulating environment to encourage discussion, fellowship and exchange of ideas in all aspects of research related to scientific and statistical data management. In order to keep registration fees low and attract especially students and young researchers, we would appreciate the financial support of companies and foundations. Sponsors for recent SSDBM conferences include Teradata, SDSC, NSF, Ericsson, and Rasdaman.